Turkish Airlines embarks on a new journey from Istanbul New Airport. 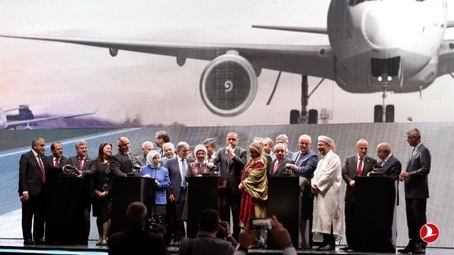 To coincide with the 95thanniversary of the founding of the Republic of Turkey, the eagerly-awaited Istanbul New Airport was named “Istanbul Airport”at the opening ceremony yesterday, officially opened by President of the Republic of Turkey, Recep Tayyip Erdoğan. 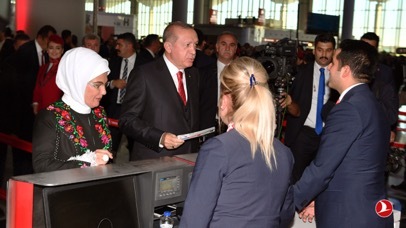 Passengers on the first Turkish Airlines flights to the new airport that specially operated yesterday for the opening ceremony, received souvenir tickets. The opening of the new aviation hub, combined with the dynamism and energy of Turkish Airlines, will usher in a new era for the carrier. Following the official opening of Istanbul Airport on 29thOctober 2018, Turkish Airlines is operating a limited number of domestic and international routes from the new airport, while all operations and existing flight schedule will run as usual from Istanbul Atatürk Airport. New, additional flights will be operated from Istanbul New Airport to Ankara, Antalya, Izmir, Azerbaijan (Baku) and TRNC (Ercan) until 30thDecember. Pursuant to existing planning, on 31stDecember, all operations will move from Istanbul Atatürk Airport, after which, all flights will operate from Istanbul New Airport.